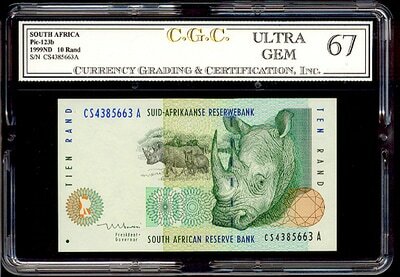 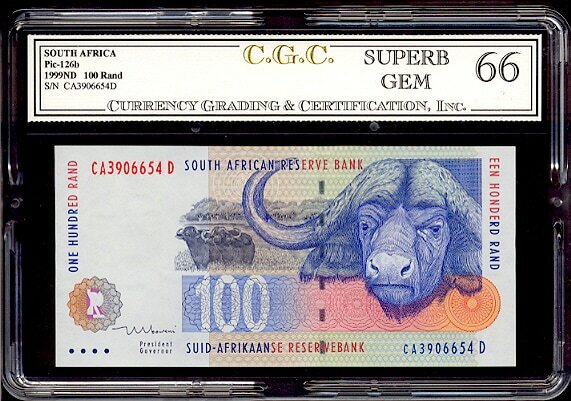 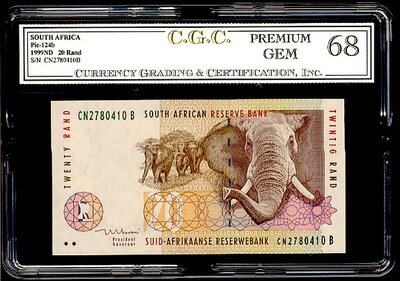 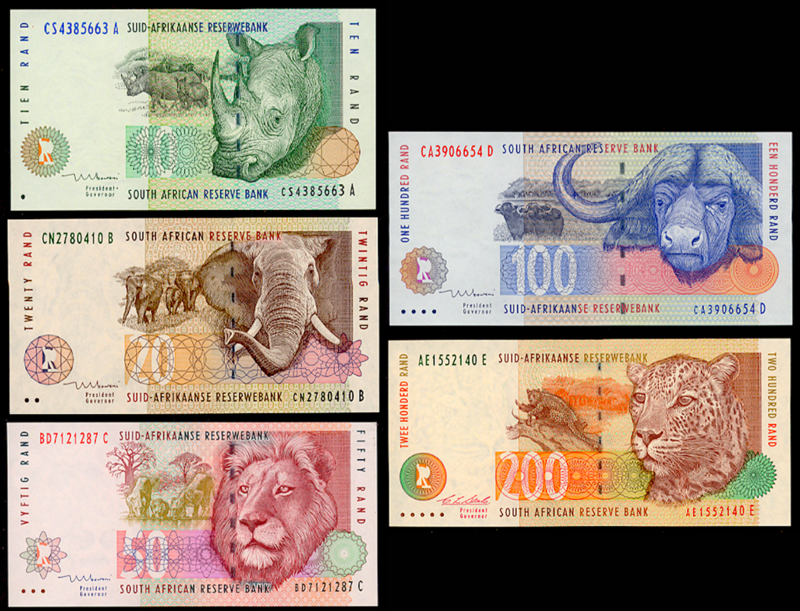 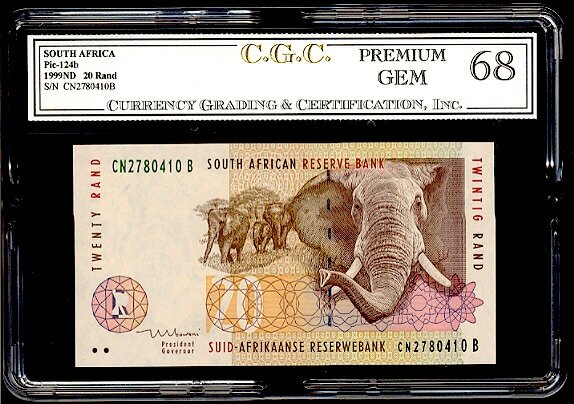 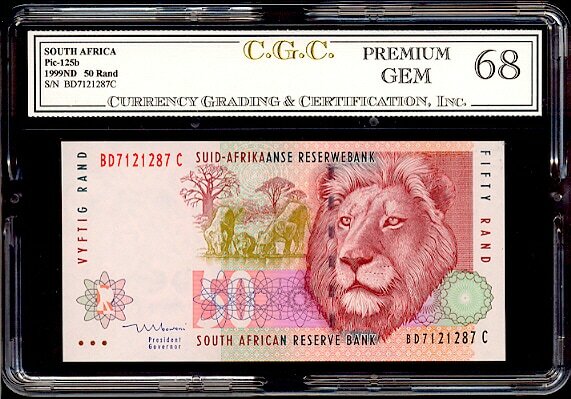 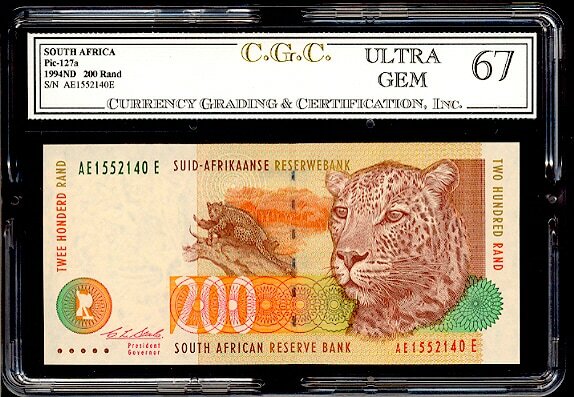 SOUTH AFRICA 1994-1999 SET OF (5) PC GEM SET “BIG GAME” RHINO ELEPHANT LION CHEETAH WATER BUFFALO ALL of these notes are in PREMIUM GEM condition (ALL in GRADED HOLDERS), they include the 10, 20, 50, 100 & 200 RAND set. The 200 Rand “CHEETAH” is the RARER 1994 piece!!! 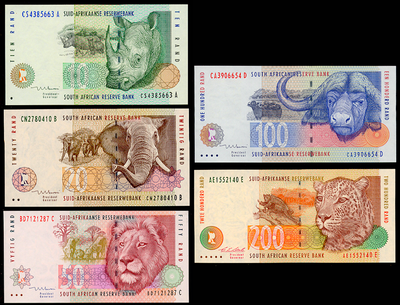 They all have vibrant colors and have no folds or defects of any kind! Just a beautiful and very Popular Set!! !